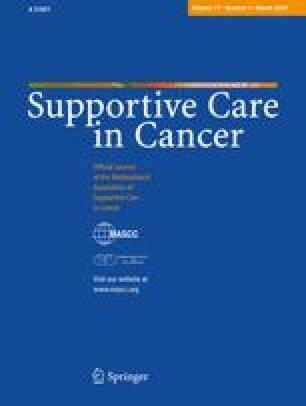 The purpose of the study was to analyze associations between life goals and purpose in life in cancer patients. A sample of 153 cancer patients was assessed before the start of chemotherapy and about 9 months later. Purpose in life was measured with a German version of Crumbaugh and Maholick’s purpose in life test, and the perceived importance of social, psychological, materialistic, and health-related goals was assessed with Likert scales. High importance of social, psychological, and health-related goals was related to higher purpose in life. In addition, having high levels of social goals at the first time of measurement predicted an increase in purpose of life over time. However, higher importance of material goals was associated with lower purpose in life at the second time of measurement and with a decline of purpose in life over time. There is continuity and change in the sources of purpose in life during cancer therapy, and a lack of fit between goals and changed living conditions is a risk factor for a decline in purpose in life. The study was supported by the German Cancer Aid (Deutsche Krebshilfe), grant 70–2445-Hö3.